Every app installed on your smartphone with permission to access location service "can" continually collect your real-time location secretly, even in the background when you do not use them. If you are not aware, there is a setting called "Location History" in your Facebook app that comes enabled by default, allowing the company to track your every movement even when you are not using the social media app. So, every time you turn ON location service/GPS setting on your smartphone, let's say for using Uber app or Google Maps, Facebook starts tracking your location. 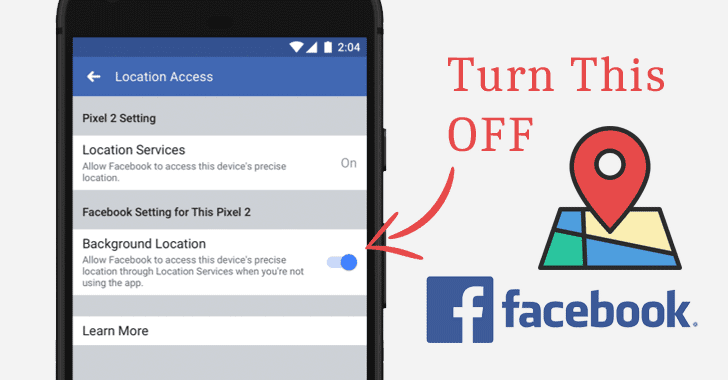 Users can manually turn Facebook's Location History option OFF from the app settings to completely prevent Facebook from collecting your location data, even when the app is in use. When talking about iOS, Apple offers its users more control over such situations at device level where users don't want to completely stop an app from using location, allowing them to choose if an app can also access location data in the background or not. 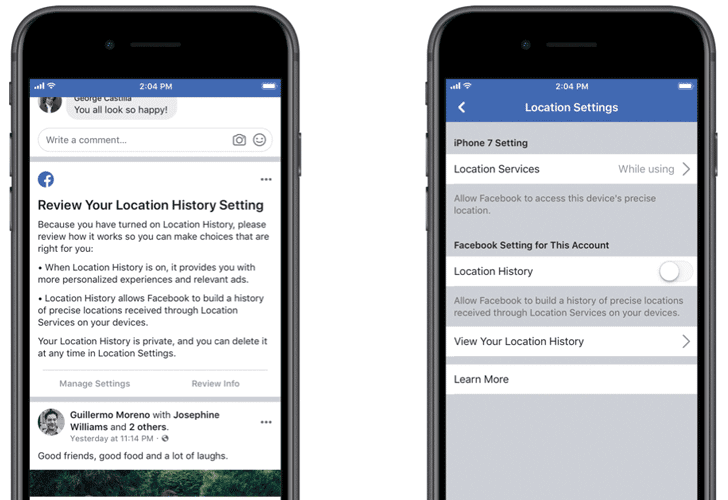 If you enable this setting, two things will happen—"you would share your location when you weren't using the app, and you would allow Facebook to store a history of your precise locations." "We're not making any changes to the choices you've previously made nor are we collecting any new information as a result of this update," Facebook's post reads. "For people who previously chose to turn their Location History setting 'on,' the new background location setting is 'on.' For people who had turned Location History 'off' – or never turned it on in the first place – the new background location setting is 'off.'" If you want to completely stop all apps from tracking you, turn Location Services off. If you want to limit this setting depending on every app, tap each app and choose "Never" or "While Using." Make sure apps that don't require your location, like most games, photo sharing apps and editors, are set to "Never."